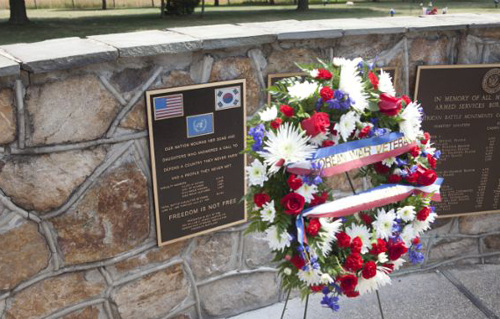 On July 23, 2011, KWVA Chapter 142 dedicated the Korean War Veterans Plaque at the Veteran's Wall in Resthaven Cemetery in Frederick, Maryland. It was a significant part of the 60th Anniversary Rememberance and remains as a lasting tribute to the memory of those service members who gave the ultimate price for freedom during the Korean War. We will not forget. 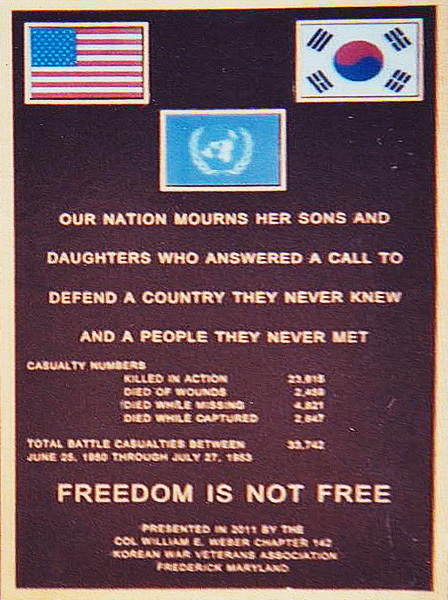 click on the plaque image for a larger view. For a printable PDF copy of the Dedication Program, click HERE.